By the time the fourth band of the evening was getting ready to take the stage last Sunday night, it was right around the same time I was thinking “maybe five bands is one band too many.” It was getting late and I was ready for the headliners. So far everybody had been brilliant, but it was The New York Dolls I had really come to see. I knew nothing about the next band, and when they first stepped out onto the stage—despite the huge crowd swell—I wasn't sure I wanted to know anything about them. “Oh god, no. Beer-belly rednecks with cowboy hats, big sunglasses, not-quite-ZZ Top beards, and really big belt buckles. How the hell did they get in here?” I wondered. And then the band started to play and the entire club came alive like one single living, breathing, fist-pumping, dancing organism. Clearly, there were as many people in the audience to see The Supersuckers race through their red-hot, hour-long set as there were fans of the Dolls. 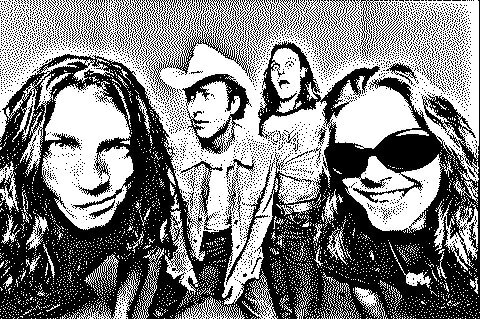 Part punk + Part rock + Part grunge + Part country = one hell of a Part-y and from start to finish that's what the Supersuckers obviously felt was their job for the night. All around me people were yelling out the refrains to songs, dancing like fiends, clapping their hands, and offering up the recognized Supersucker universal greeting: the middle finger. Not only was it cool to see so many people totally enthralled with a band I had never heard before, but also very cool to hear this music for the first time in such a setting. Trust me, it was impossible not to have fun and enjoy the band's unabashedly crass and high-spirited performance. Hear for yourself. 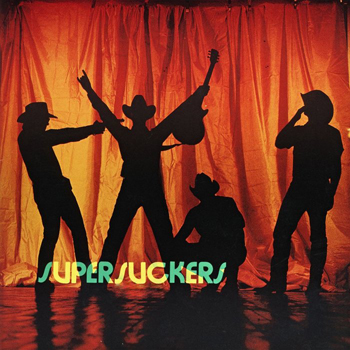 The Happy Medium Song of the Day is “Pretty Fucked Up” from the Supersuckers album, Motherfuckers Be Trippin'.